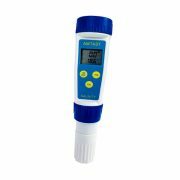 The AMTAST 2 in 1 waterproof salinity temperature meter is a lightweight device that can be used anywhere to measure salt precipitate and temperature accurately. 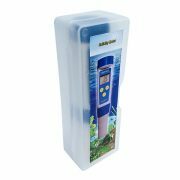 The AMTAST pen type designed salinity meter is an low-cost and consistent meter that is ideally for hydroponics and gardening, pools and spas, aquariums and ridge tanks, water industry and lots more. 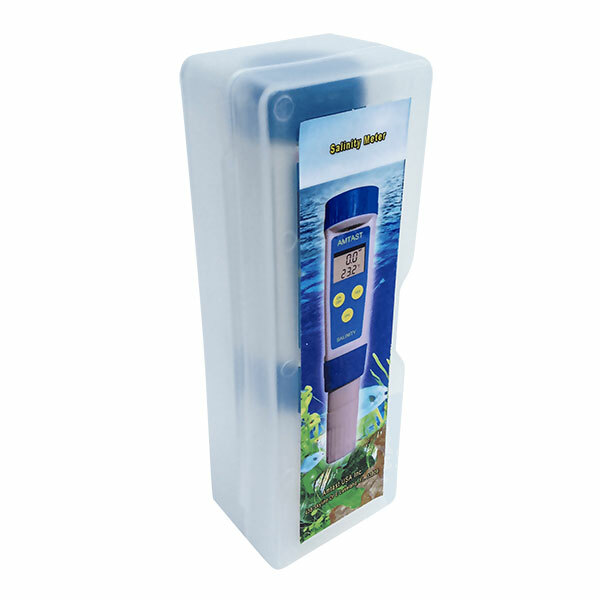 It measures both the salinity (ppt) and temperature in (°C / °F) and display simultaneously on digital LCD screen. It comes with Automatic Temperature Compensation (ATC) and the cover is particularly designed for waterproof purpose (IP67 rating). The unit can easily re-calibrated after a period of servicing time to maintain the accuracy of readings taken.